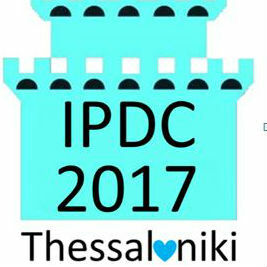 During 7-8 July 2017, Thessaloniki will host the 2017 “International Panel Data Conference”, which marks the anniversary of 40 years from the beginning of the series in 1977 in Paris. The conference is co-organizedby the University of Macedonia, the Monash Business School and the International Scientific Committee of the conference series (see here). The aim of the conference is to bring together economists, econometricians, statisticians and social scientists using panel data for their applied and/or theoretical research. We will welcome submissions related to all aspects of panel data, including factor models, non-parametric estimation, dynamic models, non-linear models, multivariate analysis, spatial models, and applications to forecasting, finance, productivity, health, labor, income inequality, macroeconomics, microeconomics, and others. The conference provides an active forum for researchers to discuss their findings from theoretical or empirical viewpoints, seek feedback, exchange ideas for future research and promote active collaboration in all areas of panel data analysis. In addition to the scientific significance of the conference, the event will provide an opportunity for delegates to get to know the culture, beauty and history of Greece. In addition, it also provides a major tourist income for our country. The team of our sponsors includesTziolas Publications, the Bank of France, the Australian Institute of Macedonian Studies, the private economics consultancy “Marsden Jacob Associates”, the International Association for Applied Econometrics,the statistical software company “Stata”, and the Association of Thessalonians “The White Tower”, which is located in Melbourne. Capital.gr is the media sponsor of the conference. The IPDC 2017continues on a highly successful conference of the “International Association of Applied Econometrics”, held at Grand Hotel Palace in Thessaloniki during June 2015, under the auspices of the City of Thessaloniki. Specifically, more than 450 economists and researchers, coming from leading academic institutions, such as the University of Chicago, the University of Cambridge, MIT, Yale and many others,visited Thessaloniki to exchange views on a range of important issues in economics(see www.iaae2015.org). Major contributors to the cultural events that took place during the conference were the “Pontian Dancing Association of Kordelio”, the choir “Idimelon” under the direction of Mr. Ioannis Tsamis, and finally the actors AchilleasDemetriades and Alexia Xigala, who starred the excellent theatrical Greek tragedy “Antigone”by Sophocles. Following the conference, participants took part in an organized excursion to Macedonian Tombs at Vergina and the School of Aristotle in Naoussa, where they learned about the rich Greek heritage of Macedonia. As part of the continuing effortsto bring to Greece major and internationally prestigious conferences in economics, Thessaloniki will also host the“International Symposium on Forecasting”in 2019, in collaboration of the University of Macedonia and the Monash Business School. In this way the city of Thessaloniki is developing into a center and a forum of economics and econometrics worldwide.